Your receipt of this email is your acknowledgement that you have read and accept the terms of the Guest Rental Agreement and understand that you are solely responsible for any property damage that occurs during your stay and that you will be charged accordingly. For any questions regarding our Terms and Conditions please call us during regular business hours of 9:00 a.m. to 5:00 p.m.
1. IMPORTANT INFORMATION: Make sure and give everyone in your group a copy of this agreement so they are informed of rules and information pertaining to this unit you are renting. 2. Upon making a reservation, 1/2 of the reservation amount plus the damage insurance is required. If you are sending a check for the deposit it must be received by Red Lodge Rentals within 7 days of the date of making your reservation or we reserve the right to cancel your reservation. Balance is due WITHIN 7 days of your stay and will automatically be charged to your credit card or other previously arranged means of payment. 3. The maximum number of guests per Property must not exceed the posted capacity on Red Lodge Rental’s website. Over-crowding violates local health codes and fire ordinances, and is considered grounds for IMMEDIATE eviction from the Property, with the Guests’ forfeiture of any and all monies paid. If overnight maximum occupancy for the unit is exceeded during your stay, there is a $250 fee for this infraction, unless previously authorized. 4. Use of premises shall not be such to disturb or offend neighbors or residents. Please refrain from public display of drinking alcohol while on the property. There will be no discharging of firearms of use of firecrackers or fireworks on the property. Red Lodge Rentals has the right to terminate this agreement and to ask the disruptive Guest(s) to IMMEDIATELY vacate the Property with the complete forfeiture of any and all monies paid. NO mobile sleeping units (i.e. travel trailers, motor homes, tents and/or other RV’s etc.) may be used at the Property for any purposes whatsoever, other than transportation to and from the Property. 5. Guest(s) acknowledges and understands that he (she) is a licensee of the Owner and not a tenant; and that he (she) is not acquiring any interest in the property. 6. It is understood that each unit is privately owned including the furnishings, with Red Lodge Rentals acting solely as Agent for the Owner. Red Lodge Rentals is not liable for any damages or accidental injury during occupancy by the guest. 7. Information regarding individual units is believed accurate but cannot be guaranteed. Guest(s) inspection of the premises is encouraged. 8. The Guest(s) acknowledges and understands that check-out time is no later than 11:00 a.m. and check-in time is no earlier than 3:00 p.m. We reserve the right to charge $25 for every half hour of late departure. This does not authorize the guest to occupy the unit beyond the check-out time of 11:00 a.m. Keys should be left on the kitchen counter upon departure. There is a fee of $25 per lost or unreturned key. Please lock the unit on your way out. 9. Guest(s) shall be solely responsible for any property damage, accident or injury to any person or loss sustained by any person, including loss of money, jewelry, and other items of personal property, arising out of or in any way related to Guest(s) use of the premises or the items of personal property provided by Red Lodge Rentals. Guest(s) shall inspect and be familiar with proper use and application of such items prior to using them. Guest(s) hereby agrees to indemnify Red Lodge Rentals and/or Homeowner harmless from any and all claims including those of third parties, arising out of or in any way related to Guest(s) use of premises or the items of personal property provided therein. Guest(s) assumes the risk of injury or other losses relating to any recreational activities and will hold owner and its agents harmless with respect thereto. 10. Guest(s) shall leave premises in fairly clean, undamaged condition. If unit is not left in suitable condition, Guest understands that Agent reserves the right to charge guest for any repairs or excessive cleaning. Upon arrival report any and all damages observed to Red Lodge Rentals. 11. Guest(s) agree to make all long distance calls collect, by credit card or charge to a third number. 12. Guests agree not to smoke inside the unit or have any pets in or on the premises. A fee of $250 will be charged for any infraction. Red Lodge Rentals has the right to terminate this agreement and to ask the Guest(s) to IMMEDIATELY vacate the Property with the complete forfeiture of any and all monies paid. 13. Red Lodge Rentals reserves the right to offer alternative accommodations without legal or monetary ramifications to Red Lodge Rentals. Alternative accommodations of equal or greater value would be offered in the event of unforeseen complications that might arise in case of an emergency, acts of God, such as but not limited to physical defects that may occur in the unit you have booked. Such reasons for the move could be adverse weather conditions, mechanical and/or physical complications such as broken or frozen water lines, sale of the property, etc. If alternative accommodations are not deemed satisfactory immediately upon arrival and you stay elsewhere, your deposit will be returned to you as soon as possible. Guest(s) understands that Red Lodge Rentals does everything possible to keep all mechanical amenities in working order. There is no monetary compensation or refunds of any kind for amenities that have mechanical or other failure during a Guest(s) stay. 14. Although your vacation home is self-catering, we provide INITIAL complimentary items which include the following: a package of coffee, several tea bags, one roll of paper towel, toilet paper in each bathroom, dishwasher tabs, laundry detergent, garbage bags, shampoo/conditioner and soaps in each bathroom. Linens, towels, pots and pans are all provided. Additional supplies needed beyond the complimentary package are the responsibility of the guest. In downtown Red Lodge you will find the Beartooth Market grocery, Family Dollar, 24 hour Town Pump, Red Lodge True Value and Red Lodge Drug for your convenience to replenish items needed and to pick up items for your personal needs. Red Lodge also has coffee shops, a specialty food store, meat market, hair and nail salons and a variety of other boutique shops for items you may require. 15. Red Lodge Rentals is not liable for any damages or accidental injury during occupancy by the guest. 16. Guest(s) executing this agreement is/are at least 21 years of age and of sound mind. 17. In case of an EMERGENCY please call 911. For other needs and concerns refer to contact sheet located in your vacation rental binder. There are exit maps in each bedroom and by each exit. Please familiarize yourself and other members of your group with exit locations and location of fire extinguishers. Cancellation must be made in writing via regular or electronic mail. Notice of cancellation 30 days prior to your check-in date entitles you to a refund of your deposit less a $75 rebooking fee. Notice of cancellation within 30 days of your check-in date, will authorize us to re-book the reserved unit. If re-booked, a refund will be made less the $75 rebooking fee. If unit is not re-booked, the entire amount paid will be retained by Red Lodge Rentals. There is no refund for early departure. Optional CSA Travel Protection has been made available with your reservation. We encourage you to purchase the coverage so that you can be protected if certain unexpected events occur. Percentage is automatically calculated and added at booking. CSA Travel Protection reimburses for pre-paid, non-refundable expenses due to certain unforeseeable circumstances that may jeopardize your vacation investment and force you to incur unplanned expenses. Purchase may be made up until final payment is made. You may cancel this policy within 10 days of plan purchase. If declined, you acknowledge you have read and understand our Cancellation/Refund Policy and choose not to purchase Vacation Rental Insurance on behalf of all occupants. For details about coverage call CSA at 866-999-4018. Guest must elect either the Vacation Rental Damage Protection for $39.00, or a refundable deposit of $3,000.00 plus $35.00 non-refundable processing fee. The Vacation Rental Damage Protection covers accidental damage up to $3,000.00 that occurs in the property during your stay. If Guest elects the $3,035.00 deposit, the deposit will be charged once the reservation is approved. 45 days following check-out the $3,000.00 deposit will be refunded provided all of the following are true (1) no damage was done to the property other than reasonable wear and tear, (2) all keys are accounted for, (3) no items were missing, (4) all doors and windows were closed and secured upon departure, (5) all check out procedures were followed, (6) all Rental Agreement policies were followed, (7) no miscellaneous charges were incurred, e.g., additional cleaning fees, TV/phone charges. An itemized statement outlining all associated costs will be sent via regular or electronic mail to the address submitted by the Guest at such time as the reservation was booked. By written or electronic endorsement of this Agreement, the Guest hereby agrees to pay for all such charges, as defined. In lieu of a security deposit Red Lodge Rentals offers a $39 Vacation Rental Damage Protection plan (non-refundable unless trip is cancelled prior ) designed to cover unintentional damages to the rental unit interior that occur during your stay. Damages must be disclosed to management prior to check-out and the proper Claim Form filled out and given to Red Lodge Rentals. If purchased, the policy will pay a maximum benefit of $3,000. If, during your stay at one of our rental properties, an insured person causes any damage to real or personal property of the unit as a result of inadvertent acts or omissions, the Insurer will reimburse the Insured for the cost of repair or replacement of such property up to a maximum benefit of $3,000. Certain terms and conditions apply. Full details of the Vacation Rental Damage covered are contained in the Description of Coverage or Insurance Policy www.vacationrentalinsurance.com/g20vrd. If you have chosen not to purchase the Damage Protection at time of reservation the plan can be purchased up to, and including at, check-in. By submitting payment for this plan, you authorize and request CSA Travel Protection and Insurance Services to pay Red Lodge Rentals any amount payable under the Terms and Conditions of the Vacation Rental Damage. Please contact Red Lodge Rentals directly if you do not wish to participate in this assignment. This policy does not cover travel or cancelation due to unforeseen events. See above for optional CSA Travel Protection. Above damage protection insurance is coverage for unintentional damage ONLY. 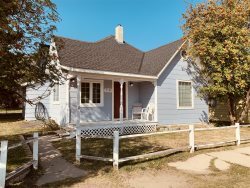 Malicious Damage is an intentional violation of these Terms and Conditions and can be treated as a criminal violation and Red Lodge Rentals is authorized to file charges with the appropriate local authority. Examples of malicious damage include occupancy by more persons than authorized, intentional damage to the rental property, theft, excessive cleaning, phone charges, unreturned keys and unlawful activity conducted by the guests. Red Lodge Rentals and/or the property owner is not responsible for personal property that is left behind, damaged or stolen during your stay. Upon checking out please make a thorough exam of each room, including under the beds and behind doors to make sure you have not forgotten anything. Every attempt will be made to locate any forgotten items but Red Lodge Rentals makes no guarantee that they will be found. If you know you have left something behind please contact our office to let us know and we will attempt to locate the item. All found items will be entered into the computer system that is in place. You will automatically receive an email stating that we have found an item and then you are to instruct us as to whether or not you would like it returned. If you would like it returned you will then be asked to pay for the item. We will then receive those instructions and mail your item back to you. THE USE OF THE HOT TUB BY ANY MEMBER OF THE RENTAL GROUP, INCLUDING VISITORS, IS ENTIRELY AT THEIR OWN RISK. You will be totally responsible if there is an accident, drowning or medical condition during your stay. • The Hot Tub is provided for your use and the water has been treated to ensure it is correctly balanced. The hot tub will be checked on the day you check in and will be checked daily during your stay. Hot tubs pose similar risks to swimming pools, as well as having their own dangers. Here are some hot tub safety rules that everyone should be aware of before using the tub. • Any emergency visit by a hot tub technician that requires draining and refilling the hot tub during your stay due to your negligence or abuse will result in a $200 fee. • In the winter months, be careful because snow and ice could be around hot tub and you could slip and fall causing injury. • The tub is to be used responsibly and is not to be used as a substitute wading pool by children. Allowing children to jump or dive into the water is not permitted under any circumstances. Children must not use the spa unsupervised at any time. • Please do not touch the settings on the hot tub. Only push the jets on or off or to a higher setting. • Only clean swimwear may be worn in the tub as the chemicals in the water will remove the colored dyes found in ordinary clothing, causing them to leach into the water and turn it cloudy. • Please shower before using the tub to remove make-up, sun-screen, insect repellent or any other oil-based products. • It is recommended that you have someone in the hot tub with you. If you choose to ignore this advice and elect to use the tub alone, make sure a responsible person inside the home is aware that you are in the tub and how long you have been in. • Do not use the hot tub if you have a medical condition without discussing it with your doctor first; your doctor may advise you about specific temperature settings, how long it is safe to stay in, and any warning signs that you may be in trouble. Do not use a hot tub if you are taking any medication that makes you drowsy or affects your circulation; if necessary, check with your doctor. Pregnant women and the elderly should also consult their doctor before using a hot tub. • Do not use the hot tub if you are under the influence of alcohol or drugs as your judgment will be impaired and you could become unconscious and drown. • Be aware of the amount of time you have been in the tub. Soaking in the warm water can raise your body temperature to dangerous levels. 15-minutes in water no warmer than 104 degrees Fahrenheit is considered safe; if you want to use the tub for a longer period, take a break. Soaking in the warm water can dehydrate you, which could lead to nausea, dizziness, or fainting. Take breaks from the hot tub and drink water before getting back in. • No smoking is permitted in or around the tub. • If you splash water out of the hot tub it will cause the hot tub to not heat. Please fill the hot tub back up before retiring. If there is no hose use a clean garbage can located inside the home. • People with cuts or external infections should not use the tub. • Be sure to check the temperature of the water before you enter the tub. • If there is a same-day turnaround on the unit you are renting, please note that your hot tub may not be hot at your 3:00 p.m. check-in time. Check-out is at 11:00 and check-in at 3:00 - it takes 6-8 hours for the hot tub to get hot again after draining and refilling it after a guest leaves. • If there is a medical emergency, please call 911. If you need to report a problem please call Sheila at 406-425-0681. • Overuse or abuse will also cause the tub water to turn cloudy and smelly and will render the tub unusable. If this occurs Red Lodge Rentals is to be notified immediately as the tub will almost certainly have to be emptied and refilled, which will deny you the use of the tub for at least 24-hours. Any abuse of the tub will result in a charge on your damage deposit. Red Lodge Rentals takes no responsibility for skin conditions that may arise from using the spa when the water is cloudy or smelling unpleasant.